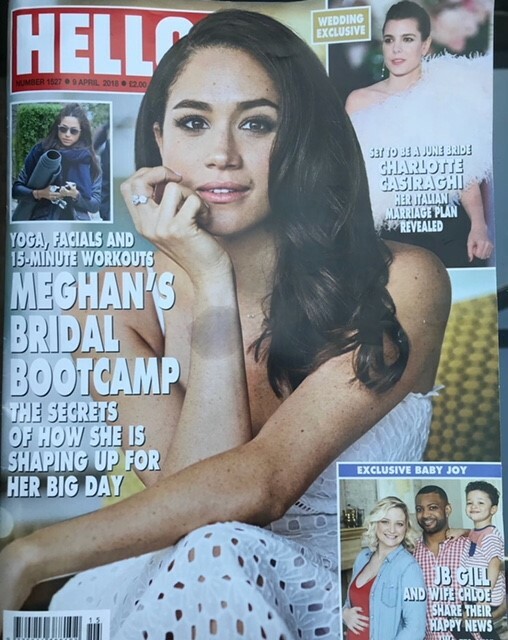 It was so great to appear in Hello Magazine recently. I loved being their “expert”. I would like to thank Aisle 8 and Charlotte Lake from hello! Magazine for taking the time to speak to me about my favourite thing in the world…. tape in hair extensions! 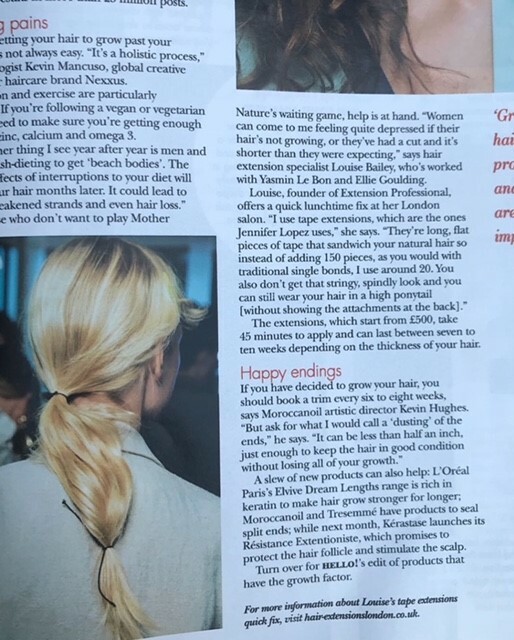 I have been doing hair extensions for more than 10 years and have had the pleasure of applying extensions to many beautiful celebrities including the likes of super model Yasmin le Bon and singer Ellie Goulding. The really great thing about tape hair in extensions is that the hair is completely reusable making it a very cost effective method for clients with many different budgets! Tape hair extensions should be moved up the head every 8 to 10 weeks to ensure that no damage occurs to the natural hair. If a client has very fine hair the tapes should be re applied around 6 weeks or so. The way tape in hair extensions work is very straight forward but very effective. They are applied by 2 pieces of extension hair tapes sandwiching the client’s natural hair. This is achieved by a sticky area on the top of the tape. A full head can be applied in less than 45 minutes so this means that there is no more need to sit in the hair extension hot seat for hours and hours. Honestly couldn’t think of anything worse. You could even pop in to have a lunch break re tape. Now tell me that’s not absolutely amazing! The prices of tape in hair extensions can vary depending on the experience of your hair extension technician and the type of hair that has been chosen to be applied. I personally use 100% human finest quality Russian hair, I find this hair is super silky and soft and blends naturally with a vast majority clients hair. The most important thing to me is my clients finished look is seamless and natural. I need them to walk out of the salon felling and looking a million dollars. Seeing that is what makes my job worth while and makes me wake up each morning excited to transform another beautiful lady!